The Associated Press has stepped up it’s sports coverage by upgrading Sports News Television (SNTV) to high-definition quality this week. SNTV is a joint venture between AP and IMG Worldwide, providing sports news and highlights including the Australian Open Tennis Championships. The HD upgrade will also allow SNTV to offer coverage of the upcoming 2012 London Olympics in HD. AP says they have added over 200 HD cameras to capture the footage, as well as upgraded broadcast equipment to support the higher quality. Other sporting events SNTV will now cover in high-definition include the African Cup of Nations, T20 Cricket World Cup, Euro 2012, and the Ryder Cup. SNTV will also continue to cover football, tennis, golf, and other U.S. sports. 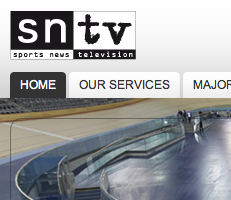 “It’s set to be a glorious year for sport in HD,” said SNTV Managing Director Martin Kay.